Two new areas near Air Scar. Two newly recorded areas near Air Scar (see page 382 of Vol.1, YMC, 2012). 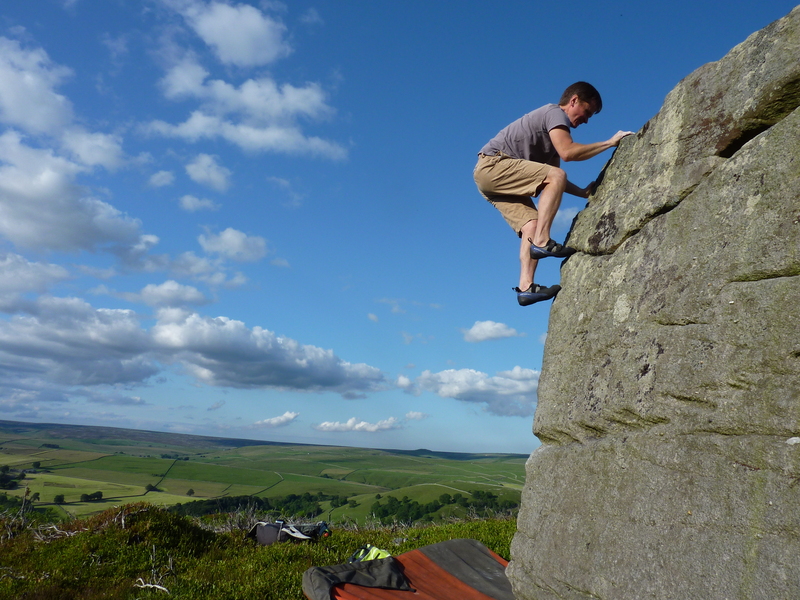 Air Scar Upper is above the main crag – there is more to discover here. Rowan Tree Crag is a lone boulder which has been used as a boundary stone on the plateau south of the main areas. Some extra problems at the mighty Baildon Bank.